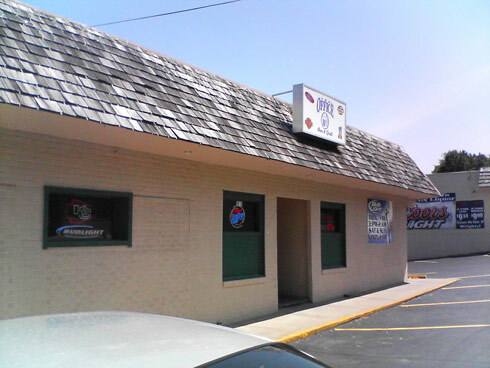 Scooter’s 333rd bar, first visited in 2007. Our first stop was actually a bonus bar. We weren’t expecting to find one here and were just flying by when B spotted it. Our bartender, who was watching women’s softball on TV, was a wealth of information and filled us in on the concept of private clubs in KCK. She also told us about several others that would be open on a Sunday. This included two right next door on either side that we had completely failed to notice.